Mia needs a date for homecoming, and her dream date, Vince, would be perfect if only she can get Robyn, her best friend, to match them together. Robyn manages a matchmaking service and takes her duties very seriously. Robyn is adamant that Vince is not the one for Mia. After embarrassing herself in front of the whole student body, she decides to take matters into her own hands and match herself with Vince whether Robyn approves or not. What started as an impulse decision quickly spirals out of control. Match Me If You Can by Tiana Smith should definitely be on your radar! The writing is absolutely fantastic! This fluffy contemporary will certainly make you swoon and cringe in all the right places. There were even instances where I was suffering from secondhand embarrassment because the story and Mia’s character is told so well! This book demands reactions, since it’s told in such a raw and real way: at some points, I was caught talking to the book as if the characters could hear me. The writing immerses you into the story. It is so rare to find a book that includes genuine laugh out loud funny moments. Yet, Match Me If You Can is definitely one of them. Mia is 100% relatable. We would be instant best friends. Her thoughts and actions seem so real, a true teen portrayal. I loved how connected Mia was with her friends in the beginning. I only wished we got to see more of them together. Robyn was the most mysterious of the three. Her matchmaking service opens a hundred questions about her character that we do not receive in Match Me If You Can. It would have been great to get to know Robyn a bit more. Elena, the more out-going of the three, kept the group fun and impulsive. The friend dynamic worked so well. There were some instances in Match Me If You Can that could have explored bullying. Instead, Smith just scratches the surface. If explored, it would have added a bit more depth to all the characters. Usually YA suffers from the absent parent syndrome, where parents have so little to do with their children or they’re not even mentioned, but I was so delighted to see parents in Match Me If You Can. And in such a positive way, too. They were somewhat involved in their daughter's life and laid down the rules of the house. Mia and her parents had real discussions which creates an even more real-life portrayal of high school life. It really made the book so much more realistic. 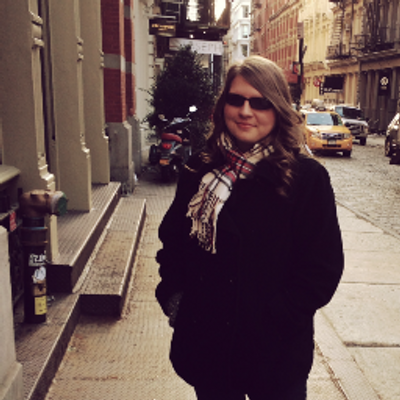 The romance explores the uncertainty of love and finding it in the place you least expect. Even though it is rather predictable, the swoon factor is still at an all-time high. 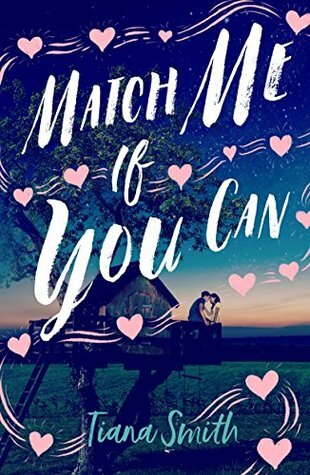 If you love cute, adorable and fluffy contemporaries, you'll love Match Me If You Can. The romance immediately enchants you, cementing this book as a new favorite!